CLAYTON – A male suspect allegedly approached and fired shots at the Clay Twp. Administration Building, which also houses the police department while police officers were inside early Friday afternoon, Nov. 30. After the shooting at the Clay Twp. offices several jurisdictions responded to lend assistance. The ATF arrived at the termination point of the pursuit to investigate. Two Clay Township deputies are now on paid leave following the officer-involved shooting, which is normal procedure following such an event. Officers could not say what may have motivated the shooting but did say the suspect was making odd comments before being transported to the hospital. 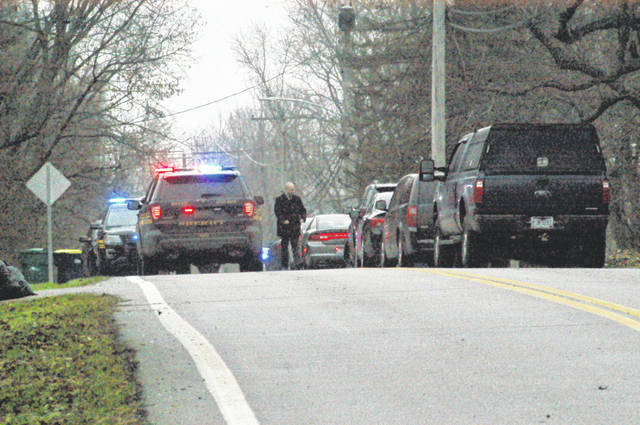 According to township officials, the Montgomery County Sheriff’s Office is handling the investigation of the shooting.